Four years later, the 1968 Belgium Grand Prix would witness another drama when the race leader ran out of fuel on the very last lap. The first half of the race played host to some great overtaking maneuvers as the front-runners battled for the lead. 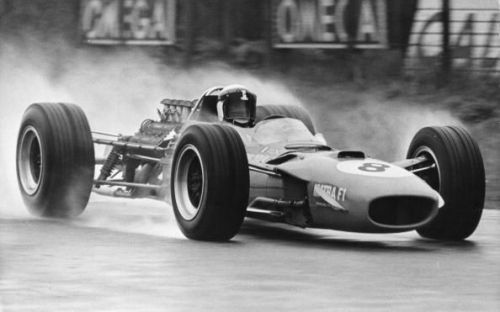 However, crashes and mechanical problems retired most of them, and the closing stages of the race saw Jackie Stewart lead the race with a comfortable margin over Bruce McLaren after enduring a tough battle with Denny Hulme. However, on the last lap of the race, Stewart's Matra-Ford ran out of fuel and surrendered the lead to the New Zealander. McLaren crossed the finish line to pick up his only win of the season. The Briton completed the last lap by returning to the pits, but the lap was not counted for being too slow and was credited only 27 laps out of the 28-lap race.